Westpark School is a faith-based school aligned with, and a ministry of, Prairie Alliance Church in Portage la Prairie, Manitoba. Westpark is dedicated to preparing students for lifelong learning and service in the community, post-secondary studies, and society through a holistic educational experience focusing on our physical well-being and academic excellence within a spiritual framework. This preparation takes place through the development of the whole person in the study of arts, humanities, math, science, and biblical studies with options in the areas of business, computer/technology related courses, and extra-curricular athletic opportunities. Westpark School is a Kindergarten to grade 12 school with a student population of about 220 fulltime students and follows the curriculum set by the Ministry of Education and Advanced Learning in the Province of Manitoba. Westpark also offers a pre-school program for children aged 2 – 6. 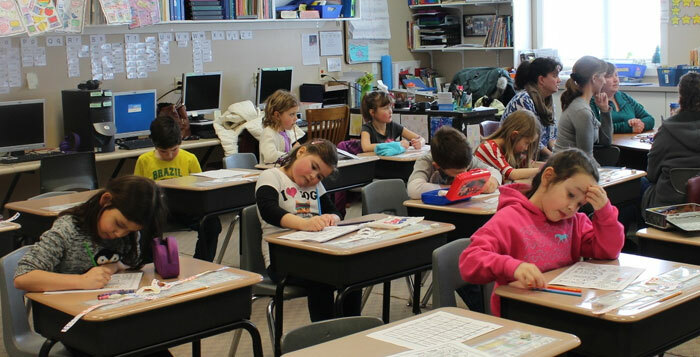 Westpark maintains maximum class sizes of 20 students in Kindergarten through grade 4, and class sizes of 24 students in grades 5 through 12. Students attending Westpark are expected to participate in monthly service opportunities, with an option to participate in Global Impact opportunities at higher grade levels. Kindergarten to grade 8 students serve through the school and local camps. Grade 9 to 12 students are given the opportunity to serve through organizations in Winnipeg, Vancouver, Mexico and Guatemala. Westpark School desires to see students graduate from high school with not only an excellent education which prepares them for their next steps in career or educational opportunities, but to increase student awareness of the faith journey they are on and develop a greater understanding of their spiritual life and who they are in relation to God. To this end, Westpark School desires to cultivate hearts as well as minds, build vocational clarity, nurture spiritual wellbeing, and inspire engagement in society and the world at large.